Sophomore Makai Organ wears a shirt for his favorite wrestler, AJ Styles. World Wrestling Entertainment (WWE) has been around for many years. Although the WWE is about wrestling, the matches broadcasted on TV are not real. The purpose of the WWE is entertainment, which is why the wrestlers have scripts and choreographed matches. Other sports such as football, basketball, baseball and soccer are very different from WWE because the games broadcasted are real. Because of this, other sports tend to be more popular among students in our school than WWE. 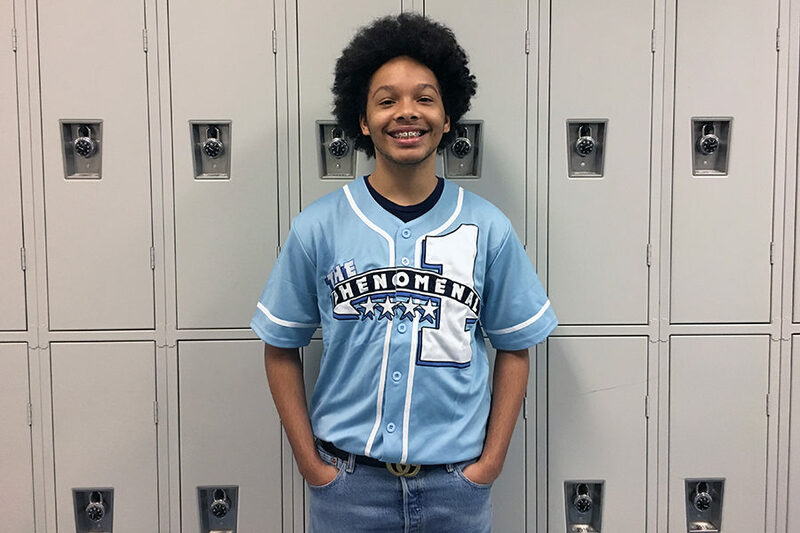 Despite the low interest in WWE in our school, sophomore Makai Organ still enjoys watching the matches every week. Organ was first introduced to the world of WWE in third grade. His cousins, junior Isaiah Jordan and alumni Joshua Jordan, showed him his first match on TV. Although his older cousins are no longer fans of WWE, he still continues to watch the matches and be a fan of the wrestlers. 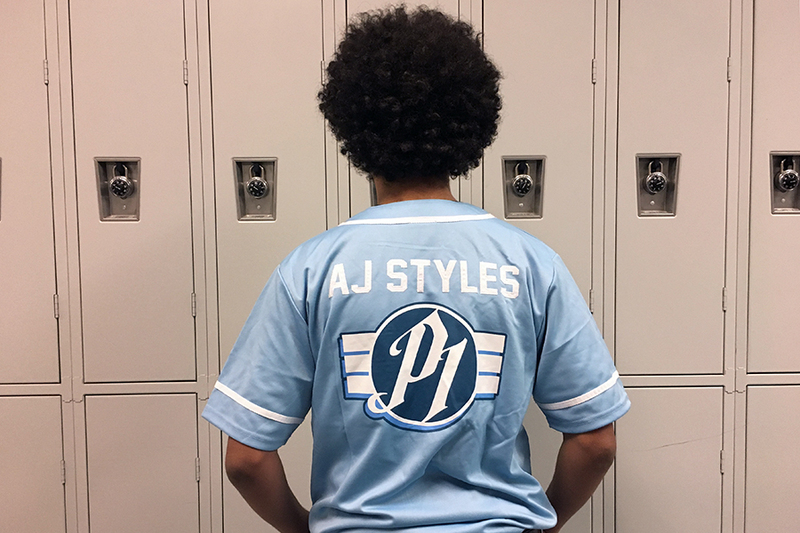 Organ wears a shirt for his favorite wrestler, AJ Styles. On Oct. 16, 2018, Organ attended his first WWE show in person. He traveled to the Capital One Arena in Washington D.C. to watch the 1000th episode of Smackdown. Although AJ Styles is his favorite wrestler, the most memorable part of watching the live show was seeing the return of Rey Mysterio, who made his WWE debut in 2002. “The return of Rey Mysterio was expected because he appeared earlier in the year, but I still enjoyed getting to see him fully come back to the WWE,” Organ said. “Whenever he is in the ring he does something pretty cool, and I like his connection to the WWE Universe,” Organ said. Organ is aware that the matches are not real, however, the matches look real both in person and when watching it on TV. Despite the scripts and choreographed matches, he was very entertained at the live show. “I know the matches are scripted, but it is still entertaining because you never know what’s going to happen and I like the wrestlers’ interaction with their fans,” Organ said. In the past, Organ has received hate for being a WWE fan, however, that does not change the fact that WWE is something he enjoys watching. “I don’t care about other people’s opinions on the WWE because I will still continue to watch it and be a part of the WWE Universe,” Organ said.